As we move into 2018 it is a great time to reflect on what was achieved in 2017 and to look at the opportunities that lie ahead of us. In October of last year, our Executive Director John Blaiklock led a team which visited some of our live and recent projects, verifying the progress which has been made, assisting in moving projects forward and identifying new opportunities to assist people in lifting themselves out of poverty. 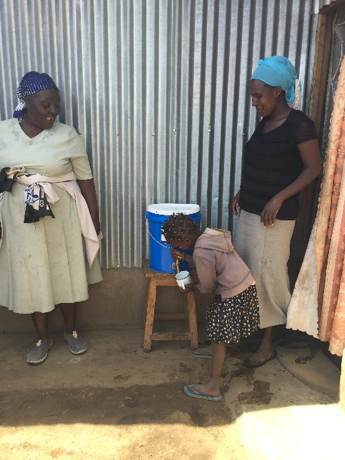 The team personally saw many of the families living in Moindabi, Kenya, now with a connection to the water supply, provided thanks to the generosity of be* donors. Visiting some of the homes that now have access to water and hearing how this has changed their lives for the better was a real highlight for our team! Currently there is one water storage tank with the construction of a second tank well underway. Work is completed by hand by local members of the community and will provide a total of 500 cubic meters of water storage. This water will gravity feed to Moindabi Primary School & surrounding communities. This project has taken a number of years to get to this point, and has cost a quarter of a million NZ dollars, but is now transforming the lives of the people in Moindabi. Imagine the difference it makes to a family not having to walk several kilometres every day to collect water; instead they benefit from a water connection at their own property so the children can attend school instead of fetching water and to support the community to grow crops. Our vision for Moindabi was to provide a convenient, reliable and healthy supply of water to each family so that children can maximise their attendance at school, and families can generate a higher income. They are then able to contribute to school costs and ongoing water provision. Thanks to the generosity of our supporters, this has substantially been achieved. During 2018 we aim to complete the water project and, together with the community, design a new school and associated infrastructure. Some of the funding for this will be provided through be* and some through other sources. We look forward to sharing progress updates with you through the year. You may remember that some years ago be* provided 6 classrooms for New Adventure School in Kibera slum, Nairobi, Kenya. Kibera is considered the largest slum in Africa with well over a million people living in it. The current situation is that as a result of the approach taken by be*, others have provided 9 additional classrooms. The school is full of children receiving a good education. To meet the educational needs of more children, the founding leadership of New Adventure School have started a second primary school in the slum. We are exploring ways to purchase land and build a school for them. Currently they are meeting in a small church hall within Kibera. 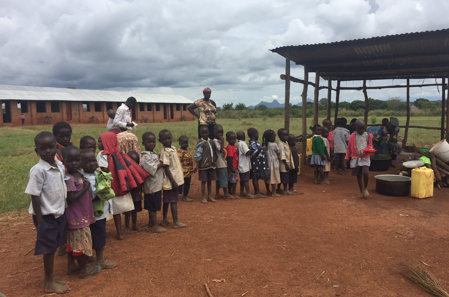 In Kitgum, northern Uganda we have been privileged to partner with community leader David Livingstone. Working with David, and thanks to the generosity of be* donors, in recent years we have been able to provide 7 brand new classrooms. Currently the school provides education for 130 children, with growth expected up to 300 students. This work will continue as we help David to deliver on further opportunities for the communities he works with. In addition, we have been able to provide "cows and ploughs" to assist the community with cultivating ground for crops, 50 bee hives from which the community are making honey and provided for the upgrade of a number of water wells. These simple projects have enabled these communities to be better fed and to raise money to enable them to purchase land to build further educational/community facilities. It is such an honour to be able to partner with incredible local people to bring about opportunities for communities to build better futures. Over the years our projects have ranged in size, complexity and cost - from providing a power source for a business cooperative of mothers to sew clothes; delivering a water supply for the thousands of people in a community; or building a school for hundreds of children to obtain an education. In each case we have worked with local partners who are connected to the communities we are supporting, and we have always been able to verify with our own eyes where funds have been spent and the difference that has been made. 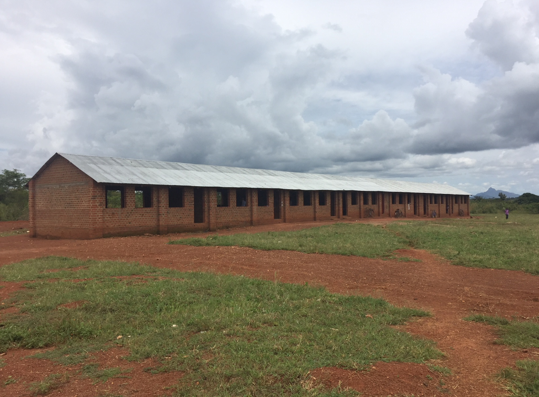 At Building for Education we don't employ any staff so that the maximum possible amount of what is donated to us is spent in Africa on the projects, providing the infrastructure required to benefit some of the world's poorest people. In this brief newsletter we have shared some of the examples of the work which your generosity has enabled us to support. Please continue to help us as we work with our partners and their communities to provide learning opportunities for children and related infrastructure in East Africa. We love a good GARAGE SALE, even better when it’s for a good cause! Come grab a bargain & a trinket, with proceeds going to our School projects in Uganda & Kenya! If you’ve got anything you’d like to donate to be* for our fundraiser, please email us on events@be.org.nz, we can pick up!